Gemini Junior Bundle at a special sale price AND with free shipping! Introducing the Gemini Jr. multi-media electronic diecutting and embossing machine from Crafter's Companion. 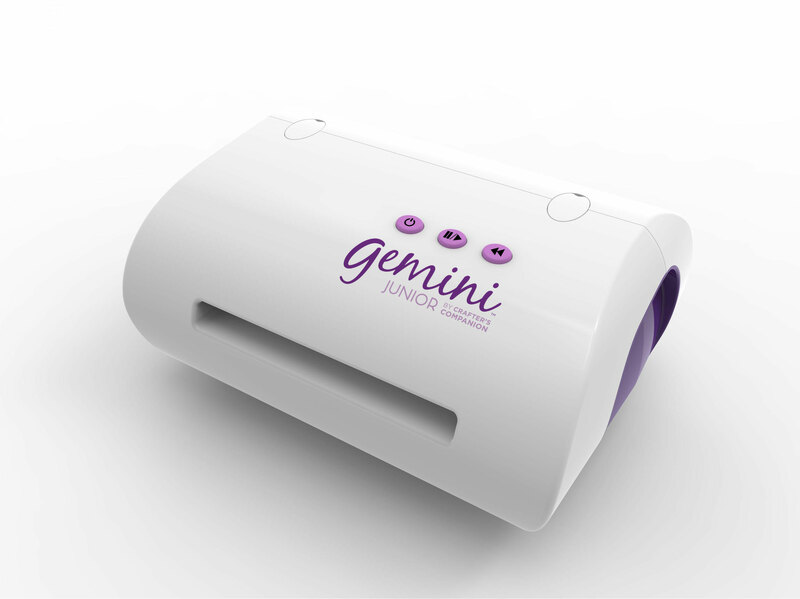 All the phenomenal power of the original Gemini die-cutting and embossing machine is now available in a smaller footprint and so much easier than all those other hand-crank machines! The compact design weighs less, cuts through heavy weight and layers of lightweight materials with ease, and works faster than ever all at the simple push of a button. No more arm workout while crafting! Not only can you cut paper, but thin cork, wood, layers of fabric, and more are easy to diecut or emboss. This machine is compatible with most types of thin metal dies for paper crafting. Gemini Junior machine, 6 metal cutting dies, 1 3D embossing folder, 2 clear cutting plates, 1 metal cutting plate, 1 metal shim, 1 rubber embossing mat, user guide, power cord. 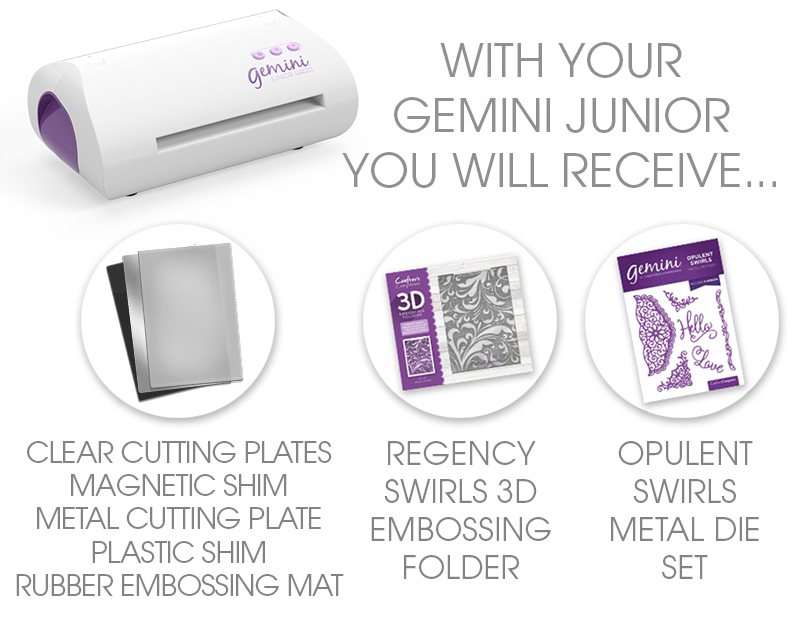 ***This bundle will ship direct from the manufacturer to you, so no other items can be included on your Gemini Junior Machine order.